Another minor earthquake hit northern Israel on Tuesday, marking the fifth such incident in a week to hit areas near the Kinneret , a spokeswoman for the Israel Geophysical Institute said. The latest quake had a magnitude of 3.3 with its epicenter on the northern shores of the Sea of Galilee where the first earthquake was felt last Thursday, she said. On Sunday, two tremors of similar strength were registered, one which hit just before midday and measured 3.6 on the Richter scale, while a second registering 3.5 was felt some four hours later. 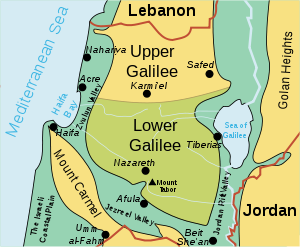 Both epicenters were on or near the northern shores of Galilee. In the early hours of Saturday morning, another quake measured 3.6. The first quake struck on Thursday evening and measured 3.5, officials said. Experts have so far been unable to explain the sudden increase in quakes, but the development has prompted the Israeli government to begin a national drill for earthquake preparedness. “Following four earthquakes in the past few days, the prime minister has ordered emergency drills in schools and instructions to be given to the public,” Prime Minister Benjamin Netanyahu’s office said on Monday evening. The Sea of Galilee, the Jordan Valley and the Dead Sea all lie close to the seismically-active Afro-Syrian rift. The last notable quake, a 4.2 magnitude tremor, was registered in Israel and the Palestinian territories in August 2011. In 1927, about 300 people were killed when a quake hit Jerusalem and nearby Jericho. A similar quake in 1837 measuring 7.0 on the Richter scale and with an epicenter in the Hula Valley, which today lies in northern Israel, devastated the town of Safed and killed some 4,000 people. It just means the underground ‘Gopher’ is farting in his cave.